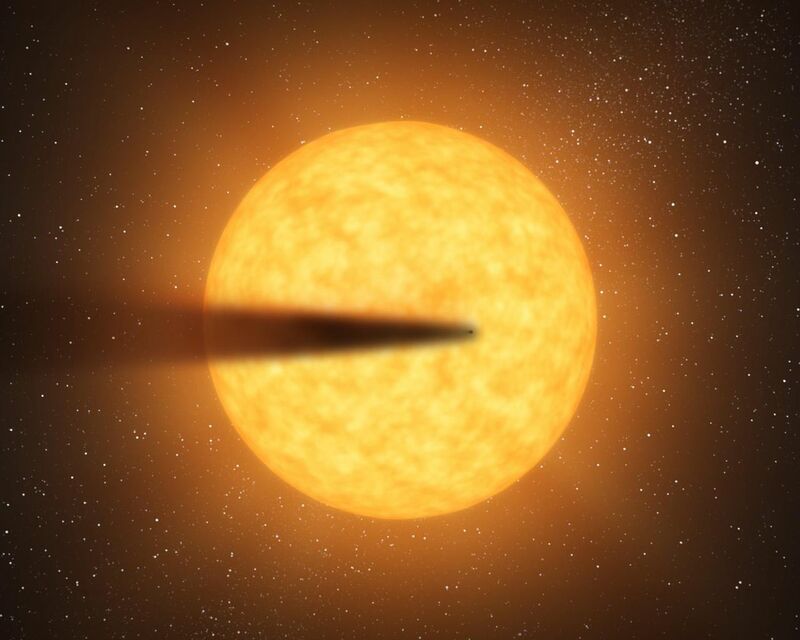 This artist's concept depicts a comet-like tail of a possible disintegrating super Mercury-size planet candidate as it transits, or crosses, its parent star, named KIC 12557548. 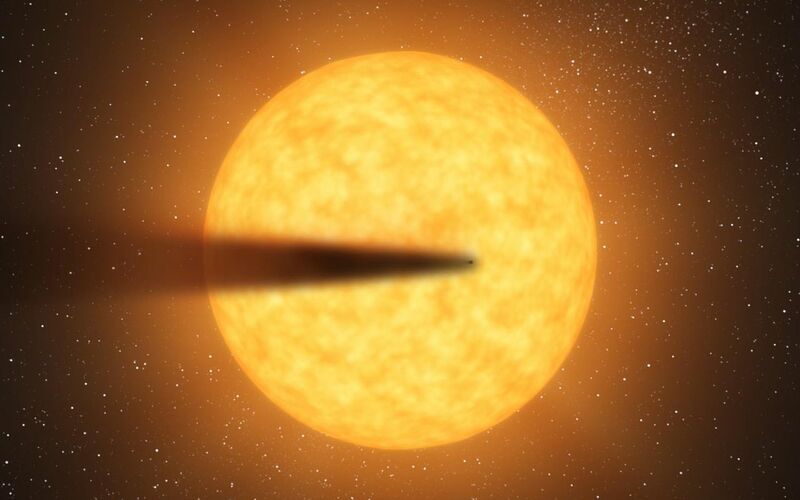 The results are based on data from NASA's Kepler mission. At an orbital distance of only twice the diameter of its star, the surface temperature of the potential planet is estimated to be a sweltering 3,300 degrees Fahrenheit (1,816 degrees Celsius). At such a high temperature, the surface would melt and evaporate. The energy from the resulting wind would be enough to allow dust and gas to escape into space creating a trailing dusty effluence that intermittently blocks the starlight.